Our response to the crisis in Jewish communities across America requires no collection of verses or teachings to express our fear and rage. The populist movement that has spread across the globe in Europe and America, but not the Netherlands (in a recent vote), is spewing bigotry and racism that is all too familiar to us. Though it was relatively dormant for decades, it’s running rampant now. What can we do? No illusions. I urge you to acknowledge that we might not have seen the worst, yet. I have great faith, but left unchecked by law agencies and government bodies, we are going to face this increasing burden by ourselves. Well-meaning advocates in the general community will join us, like we join them, but usually only afterwards when we’re binding our wounds and renewing efforts to defend ourselves. The 24-hour news cycle loves short clips that tell a quick story full of emotions; but, they won’t serve the real purpose, which is to end the incidents, altogether. No fences. Today’s racists and anti-Semites don’t care about physical fences, because we live in a social-media and internet world. Disposable cellphones, computer hacks, and global social media are their devices, which make fences obstacles to us, not to them. Perpetrators don’t want to be caught, so they hide behind technology to inflict damage to our psyches as they manipulate our fears. Prudence calls for us to protect our houses of worship, JCCs, and other Jewish institutions, but cutting ourselves off from the community isn’t our goal, it’s theirs. No choice. Everyone must engage in their local synagogue, JCC, ADL, AJC, Hillel, and other groups to advocate for the protection of the Jewish community at home, on campus, etc. No improvement will come unless we speak up, speak out, and become stronger and louder than they are. The positive by-product is that we also reinforce defenses for other religious groups that are threatened by similar racists and miscreants. I urge you to call and ask how you can help. Ask how your synagogue or Jewish organization is addressing security and how you can help? Ask how your synagogue or Jewish organization is paying for the high price of added security, at the expense of valued programs, services, and a balanced budget, and send a donation to support them. Last weekend, we celebrated Purim. We tend to focus on Haman, the evil-doer, and Mordecai and Esther, the heroes; but it’s been pointed out that King Ahasuerus is the one to watch. He’s impressionable, weak, and unknowing. He surrounds himself with advisors who lead him astray and feed his ego with praise. Until our heroes awaken him from his ego-soaked reverie, he plans to destroy the Jews. Thankfully, he learns that Haman, and not the Jews, is the one who must swing from the gallows. Oddly, God doesn’t appear in the story at all. We’re taught that when God’s presence isn’t obvious to us, then we must look to each other and find between us what God already commanded us to do and to be. The masks we wore on Purim shouldn’t blur the truth for us. We can only play our parts well if we know what’s at risk and what the end of the story must be. The risks have been learned by us over the long arc of history and many among us carry personal accounts of it. Though we never thought we’d be in this place, again, sadly we are. In history, the end of the story is told by the victors. Let us see our present as clearly as our past, and, together, envision the future we know must be there for us and our neighbors. No illusions. No fences. No choice. MARGOLIS GALLERY EXHIBIT – ON VIEW NOW! CLICK HERE TO READ THE MARCH 2019 BULLETIN! Hurricane Harvey left Houston and surrounding areas in a shambles, but the great people of Houston are banding together to help and heal. Your help is welcome and needed. You may send Gift Cards (Kroger, Target, HEB, Lowe’s, or Visa/Mastercard, etc.) to Congregation Beth Israel. They will be immediately distributed to area neighbors to assist in replacing essential items and children’s school supplies. You may also Donate directly to Congregation Beth Israel by clicking here. All funds will go directly to aid those who need immediate help. These funds will NOT be held to be allocated later. 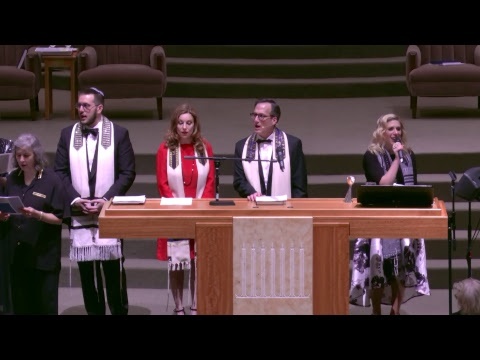 On behalf of our clergy (Rabbi David Lyon, Rabbi Adrienne Scott, Rabbi Joshua Herman, Rabbi Chase Foster, and Cantor Trompeter), David Scott, Executive Director, and Bruce Levy, Temple President, we are very grateful for your kindness, generosity, and help. Hurt has no shame and no label; we just need to heal one another.